Clean future or atomic nightmare? A mushroom-shaped cloud over a fire ball is probably the first image that came to mind when thinking about nuclear energy. The fact that it was developed as a weapon and the destruction caused by atomic bombs over Hiroshima and Nagasaki underlines the fear of civil development of nuclear energy. However, nuclear energy has been used for civil purposes since the 1950s. Today worldwide there are 390 nuclear reactors operating and 65 more are under construction. Nuclear reactors split uranium atoms to generate hugh amounts of energy. They need a critical mass of fuel to generate a chain reaction and keep it going. This process, known as fission, generates radioactive waste containing uranium and plutonium as a by-product. The safe disposal of this waste is a huge problem and it can be used to create atomic weapons. As well as destroying entire cities nuclear power can supply a clean and low-carbon source of energy. Recent studies show that nuclear energy can be a better option to provide energy to huge populations with less environmental impact. Today coal is the cheapest energy source, but also the most polluting. Well-known voices such as James Lovelock or Georges Monbiot also defend nuclear energy. To keep global warming to below 2 degrees C, we must reduce the concentration of CO2 in the atmosphere to 350 ppm. Already, current concentrations are around 400 ppm and continuing to rise. In this situation, we cannot afford to ignore any source of energy that does not cause greenhouse gas emissions. Despite its very clear dangers and potentially disasterous environmental impacts, it is appropriate that we open a discussion on nuclear energy in order to develop a balanced view. It is the the area of safety that nuclear energy has been most attacked since its origins. The main reasons are the “nuclear panic” that resulted from the Cold War and knowledge of the results of exposure to radiation. Also, the three biggest nuclear accidents, Three Mile Island (US, 1979), Chernobyl (Ukraine, 1986) and Fukushima (Japan, 2011), haven’t helped to ease concerns. However, believe it or not, the most deadly energy source is not nuclear but coal! The figures of deaths per trillion kW/h generated shows that coal kills 170,000 people per unit produced, while nuclear kills “just” 90. The actual number of death directly caused by the Chernobyl accident was low, as a WHO report showed. Neither the Three Mile Island nor Fukushima caused directly any deaths. These surprising facts are not an attempt to mitigate or deny the severe impacts on human health in Ukraine or massive evacuations in Japan. Radiation exposure is a huge concern. Pictures of Hiroshima survivors and of Chernobyl children had a hugh public opinion impact. However, it is also true that we are exposed to radiation naturally generated on Earth, and also through devices such as X-rays. Worst consequences only happen after high level exposures to radiation , which are rare events. 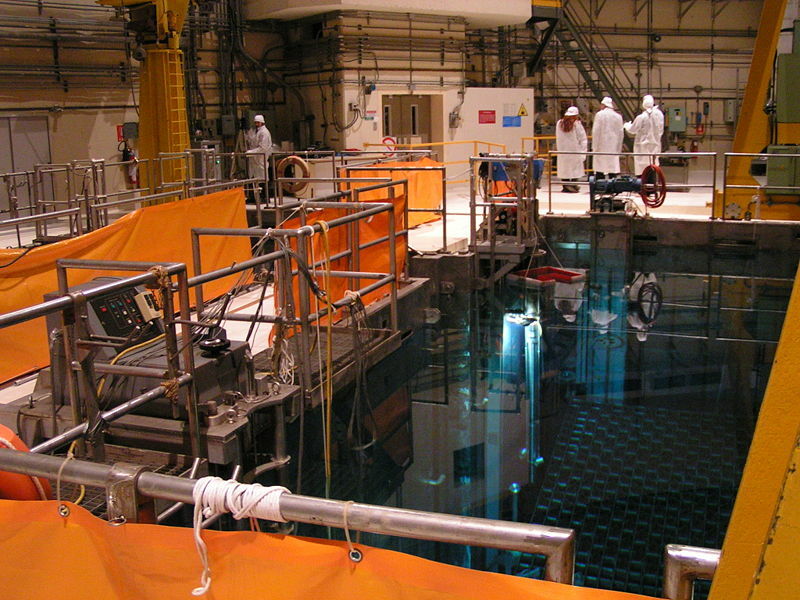 Doubts and problems about safety go beyond the nuclear reactor walls. Spliting uruanium atoms generates radioactive waste that lasts for hundreds or thousands of years and must be monitored. There are three categories of nuclear waste depending on the level of radioactivity: Low, Intermediate and High. 97% of radioactive waste can be categorised as Low or Intermediate. The most dangerous (high level) is only 3% of the volume of waste. However this contains 95% of the radioactivity and is the greatest cause of concern. Low and intermediate waste was thrown into the sea until the 1993 moratorium. Today it is stored in specialised warehouses or buried in shallow facilities. That is enough to contain the radioactivity, which decays after 300 years. High level waste is more difficult to manage. Its radioactivity can last for more than 20.000 years, twice as long as human presence in Ireland. First it must be cooled down in big pools for several years, where water and concrete walls contain the radiactivity. After that the waste is stored in special containers made of steel, lead and titanium and buried in deep geological formations, like the US pilot project in New Mexico. It is possible to recover part of the already used fuel through a chemical operation call “reprocessing“, which separates uranium and plutonium from other waste material to reuse it. However, plutonium is one of the main materials used for producing atomic bombs. Besides, depleted uranium is also used in anti-armour weapons (with consequences for human health as it happened during the NATO Balkans air raids during the 1990’s). Another problem for nuclear energy development is high cost of building and operating a mainstream reactor. The nearest project to Ireland, Hinkley Point C in the UK, will receive government funding of £17.6bn (almost 23bn euros) and its construction will take at least a decade. Delays in reactor construction are also another setback. The Olkiluoto nuclear plant in Finland has seen its start date pushed back until 2018, when it was supposed to start in 2009. The original cost was 3.2bn euros but the final figure could be twice as high. Are there any ways to solve these problems and make nuclear energy a more attractive alternative? using thorium instead of uranium to fuel them. One of the more promising options is the development of Small Modullar Reactors (SMRs). Those are of up to 300MW, building using modular constructions and assembly line production. That way economies of scale reduce the cost and the time of building, and their smaller size made them easier and safer to manage. The modular construction also allows to enlarge them if it is required. Countries like China are promoting this technology, looking forward to provide energy to isolated communities with even smaller reactors of 25MW. However, such production of SMRs is not yet possible and more research is required. Using thorium could also ease problems. Splitting thorium atoms produces far less waste, and its chemical properties avoids generating plutonium. That means less material for atomic weapons. Besides, there is more thorium on Earth than uranium, so the supply is bigger. Countries with large reserves like India and Norway are promoting its use, but again it is China who leads the efforts to develop commercial thorium reactors.